The Look Pro is a new line of cosmetics that Alan Mruvka, Founder of E! Entertainment Television recently launched. In support of Breast Cancer Awareness Month, the collection kicks off with their all natural Lip Plumper in a delicate shade of pink. This ALL NATURAL Lip Plumper is an oil based and paraben free product. 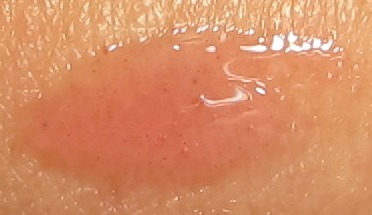 The immediate plumping effect is initiated by NIACIN (Vitamin B). It is packed with moisture properties and leaves a soft pink finish on your lips. It can be used alone for a soft natural pouty look or on top of a lipstick for a sheer glossy finish. As part of the "Real Women Wear Pink" campaign, THE LOOK STORE.com will donate $1.00 from the sale of every Lip Plumper sold during the month of October 2011to "The Foundation for Living Beauty". This pink tinted gloss feels tingly and cool when applied, but it doesn't burn my lips at all, as some lip plumping products are known to do. It adds a slight pink flush to my lips, and I also use it under other gloss or stick shades to get the slight plumping effect that it gives. This full sized gloss (0.1 fl. oz.) comes with a doe tip applicator. Here's a look at the shade. It adds a very natural look to your lips, as well as a slight plump to your pout. The color is subtle enough that it can also be worn over other lip colors to add a glossy finish. The scent is very light, and it has a bit of a vanilla aroma. 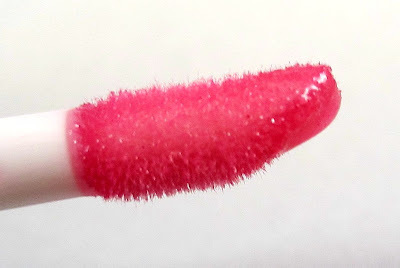 I have several other plumping lip products, and what I like about this particular one over the others is that it has a relatively neutral scent and taste, it doesn't sting, and it leaves my lips feeling moisturized, rather than drying them out. Some of my other plumping products don't seem to do anything at all as far as actually making my lips look fuller, and some of them, like this one, do seem to add a bit more fullness to my lips. The natural flush this product gives is very pretty, and perfect for those days when I want a minimal, yet finished look. I haven't found one gloss that really plumps my lips. I just bought a few Lip Fusion glosses. So far nothing.